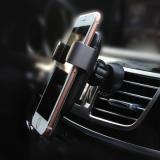 Wireless Car Charger Phone Holder, which adopts 360-degree rotation angle, can be easily installed within several seconds. Just take it. 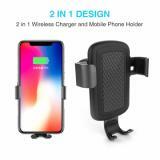 Wireless Car Charger Phone Holder comes 2 in 1 use for wireless charger and mobile phone older with one-hand operation, which is air vent mounting, gravity and linkage design. When you put your phone into it, arms automatically close. 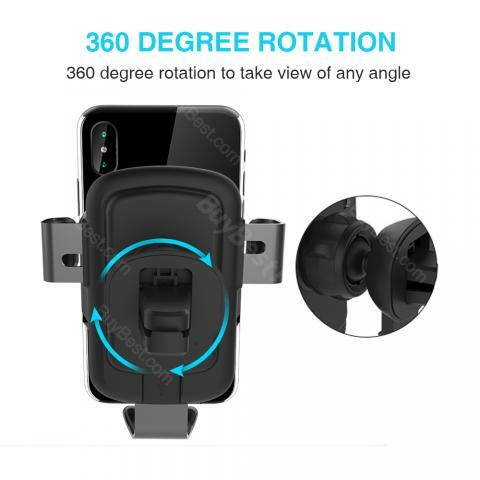 Plug and play is very easy to install and small size to avoid taking place and the clamp could provide 360 degree rotation to take view of any angle. 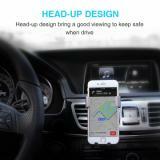 Head-up design bring a good viewing to the driver and you only need to concentrate on driving. Strong arms keep your phone firmly and keep you and your family safety. Wireless Car Charger Phone Holder fits for iPhone X,8,8 Plus-Samsung Galaxy S6/S6 Edge-Google Nexus 4/Nexus 5/Nexus 6-Nokia Lumia 920/1020/928, Lumia 950/950 XL,FAST CHARGE-Samsung Galaxy Note 8/Note 5/S8/S8 Plus/S7/S7 Edge/S6 Edge for phone with wireless charger functions. good stuff! Great for my iphone X size。and easy to use, charging is good. It is also very stable on the car. I like it very much. Recommended for lighter phones. Works flawlessly on an iPhone X. Charging works well and holds phone securely. 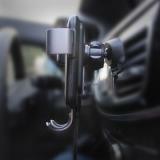 Spring clamp provides a nice grip on vents without going loose when going over bumps. Haven’t tried the car finder QR code but looks to be a nice addition. I have tried a few magnetic car chargers and must have been returned because they didn't work. This one is a keeper. I have a Samsung Note 5 and the magnet holds f great even through a case. I did find that when using it though the case, it's best to have a semi-horizontal vent. I LOVE this charger. 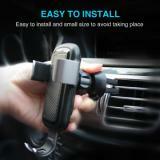 this car charger made me get rid of bunch of wires in car and while charges the cellphone fast, works as a cellphone stand too. very handy gadget for everyday use. charges my cellphone fully in around an hour which is good for a car charger.